Immaculately maintained 2,700 sq. ft. home nestled on a desirable lot in Joshua Creek. Original owners! 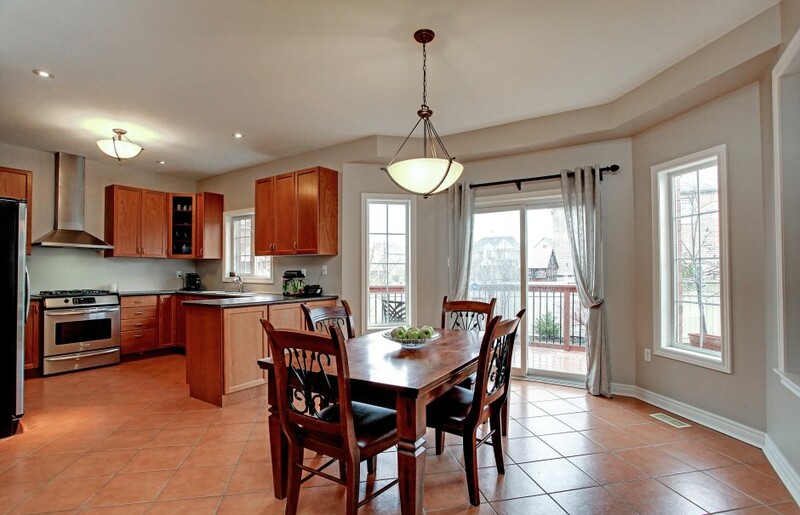 Stainless steel appliance package, open concept kitchen/family room with large breakfast area. Bright appealing layout with fully fenced rear yard, including deck and faux cut stone interlocking patio. Roof, furnace, air conditioning, windows and other systems all only 10 years new. Other features include a spacious front porch, south exposed rear yard, and a double garage with paved double drive. Freshly painted! Move right into this fabulous family home. Conveniently located close to shopping and the 403. One of the newer subdivisions in Oakville, Joshua Creek is an upscale community of luxury homes. One of the many elements residents find appealing is its proximity to Toronto and Mississauga, and easy access to highways. Located close to the 403, 407 and QEW, this community boasts a travel distance of a mere 30 kms (approximately) to downtown Toronto. For those who prefer public transit, it is only a 25 minute train ride to Union Station (the heart of downtown Toronto) from nearby Clarkson GO Station.